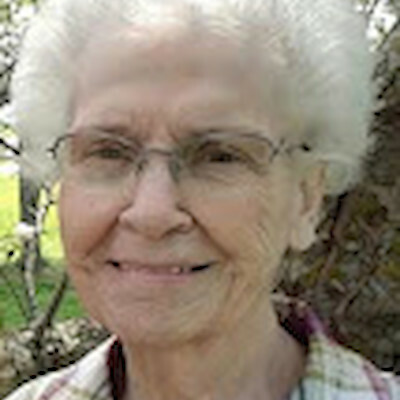 Maureen Kay Meyer Age 87, of Rice Lake, WI died Monday, April 8, 2019 at Water’s Edge Care Center in Hayward, WI. She was born on August 26, 1931 in Hayward to George and Fern (Weigle) Wheeler. Kay graduated from the Hayward High School in 1949 and was married to Fred Meyer on August 26, 1950 in Hayward. She was a nanny where she worked for the Stratton Family and then they have owned and operated Meyer Sales Company in Cameron and Wild River Sport and Marine in Trego. She enjoyed knitting, Rice Lake Fortnightly, meals on wheels, LMC Auxiliary, was very active at the United Presbyterian Church in Rice Lake. Kay cherished her time with the grandchildren, loved watching the Green Bay Packers, Wisconsin Badgers and NASCAR and later in life she enjoyed word search and jigsaw puzzles. Kay leaves many dear friends that she adored being with and would treat them so kindly. She is survived by her husband, Fred Meyer of Rice Lake, WI; her children, Barry and Sue Meyer of Roberts, WI, Bill Meyer of Sarona, Tim and Jenny Meyer of Cameron, Jeff and Mary Meyer of Cameron & Julie and Jayme Schnacky of Rice Lake; 10 grandchildren, Tori (Dennis), Waylon (Deidra), Kendra (Tyler), Dustin, Tawny (Aaron), Jeni, Lindsey (Josh), Ashley, Jessi and Alyssa; 2 step grandchildren, Andrew (Audrey) and Jennifer; 7 great grandchildren; Stella, Cora, Gabriel, Cole, Cali, Leo and Lucy; 6 step great grandchildren, Ethan, Riley, Daesha, Dayton, Dominick and Danicka; a sister-in-law, Angie Meyer; 2 brothers-in-law, George Lopata and John (Mitzi) Meyer; many nieces and nephews; She was preceded in death by her parents, George and Fern Wheeler; a daughter, Vickie and a great granddaughter, Everly. Funeral Services will be held at 2PM Saturday, April 20, 2019 at the United Presbyterian Church in Rice Lake, Rev. Chris McCurdy officiating, with interment in the Greenwood Cemetery in Hayward, WI at a later date. Visitation will be held for one hour prior to the Funeral Service at the Church. Appleyard’s Home for Funerals in Rice Lake is in charge of the arrangements. In lieu of flowers, memorials would be appreciated to the United Presbyterian Church in Rice Lake.